Since 2002, HostGator has been providing high quality Windows hosting services to website owners throughout the world. Their commitment to excellence with customer service and their reputation for high level reliability and uptime have allowed them to develop into one of the most trusted web hosts in the industry. The Windows hosting services that they offer have become very popular throughout the world due to the great value that they provide to users. The two options available are the Personal plan and the Enterprise plan. What is the Pricing Structure for Each Plan? Both Windows hosting plans that HostGator offers provide really solid value, especially if you make the decision to commit to a 2-year or 3-year plan. The Personal plan is offered at $7.96 for the first month if making the decision to pay on a recurring monthly basis, $6.36 with a 1-year commitment, $5.56 with a 2-year commitment, and $4.76 with a 3-year commitment. The price of all three plans rises about $2/month after the initial discounted payment. For the Enterprise plan, users will be paying $15.96 for the first month if going with the monthly option, $15.16 if committing to two years, and $14.36 if committing to three full years. The price of all these plans also rises about $2/month after the first month’s discounted price. It should be noted that HostGator also has several coupons that allow for different levels of savings throughout the year. Yes. HostGator offers a 45-day money back guarantee for both Windows hosting plans. How Much Disk Space and Bandwidth is Allowed With Each? Unmetered. HostGator provides unmetered disk space and bandwidth for the Personal and Enterprise plans. If you are unfamiliar with this option, it basically means that both will be capped at what you or HostGator initially specifies as it relates to the needs of your website. What Are the Major Differences Between the Two Plans? There are two major differences between the Personal and Enterprise plan, with the most significant one being that the Enterprise option allows you to have up to five domains while the Personal package only allows you to have one. Another significant difference is the fact that the Enterprise plan includes a private SSL certificate and dedicated IP address while the Personal plan only includes a shared SSL certificate. If you choose the Personal option and would like to receive a dedicated IP address, you have the ability to purchase this for $2/month. You can also purchase a private SSL certificate, although these are quite expensive if you do not already own one and will generally have a price tag of somewhere around $150/year. How Many Sub Domains are Allowed With Each Plan? Unlimited. One of the more unique aspects of HostGator’s Windows hosting plans is that both of them allow for the creation of an unlimited number of sub domains. Very few other web hosts in the industry allow this for their most basic plans. 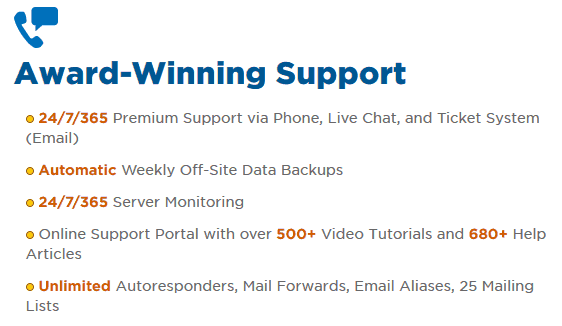 HostGator provides 24/7/365 customer support for all of the hosting plans that they offer. This includes the ability to receive assistance from support staff via live chat, email, or phone. They also have a useful support portal that features plenty of great resources for helping you take care of simple issues on your own. What Uptime Percentage Does HostGator Guarantee? Both Windows hosting plans have an uptime guarantee of 99.9%. While this has become the industry standard for premium plans, there are not many web hosts that offer this guarantee for even their value plans. How Many MSSQL and MySQL Databases are Allowed? What Type of Email Features are Included With Windows Hosting Plans? Along with the ability to create an unlimited number of POP3 accounts, HostGator also provides you with the opportunity to create mailing lists, auto responders, unlimited email aliases, and even utilize Spam Assassin. Is cPanel Used as the Control Panel? No. 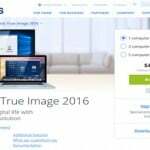 HostGator actually uses Plesk as their control panel for Windows hosting plans. This control panel is considered to be more feature-rich than cPanel while still allowing you to easily manage everything associated with your account. There is also an easy-to-use website builder included with each package. What Type of Admin Tools are Included? Some of the main admin tools included with each Windows hosting plan include Webalizer, AWStats, raw log manager, password protected directories, and web based file manager. They also provide you with a scheduled task tool that can greatly improve the efficiency of effectively running your websites. Overall, both of the HostGator Windows hosting plans provide a variety of solid features that make them among the best values that you will find. From the advanced programming features and award-winning support to the 99.9% uptime guarantee and email features, both the Personal and Enterprise plans have plenty to offer users. If you are making the decision between the two, the biggest determinant will be how many domains you plan on creating with your account. Another thing to consider is the fact that the Enterprise plan provides you with a free private SSL certificate and dedicated IP address, both of which are essential if you plan on running any type of ecommerce business through your website. Either way, the fact that there is a 45-day money back guarantee means that there is very little risk in giving one of these plans a shot. HostGator will even provide you with a free website transfer to get started. Utilizes Plesk control panel which is feature rich than the cPanel. Allows the creation of unlimited sub domains. Free website transfers are allowed for new accounts within 30 days of sign-up and to newly upgraded accounts. Email lacks security.